This massive Nurses Station was rejuvenated with Belbien Architectural Film during regular hours as it was being used full time. Belbien Architectural Film is similar to a car wrap. 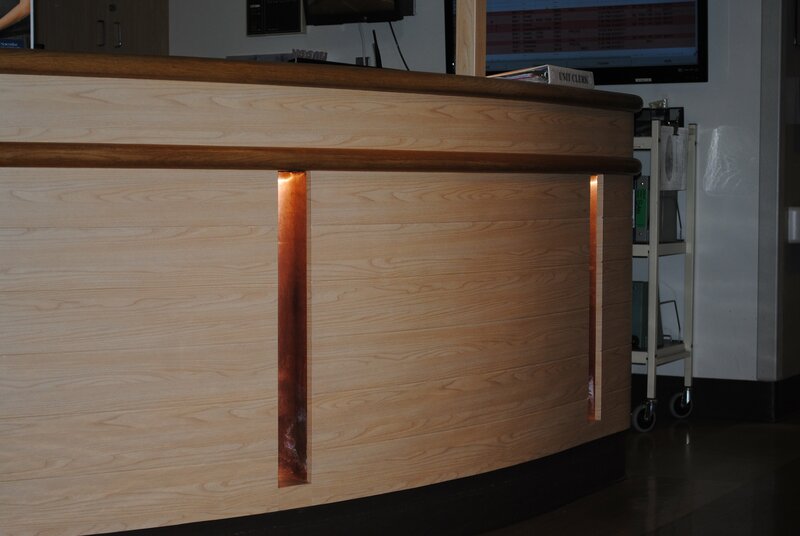 Belbien SW-70 was used to cover over 100 door surfaces in the maternity/labor delivery at North Bay Medical Center Fairfield, CA. A Hotel Lobby with Commercial Vinyl wallcovering. Wallpaper in a Lunch room. Murals at JJ Buckley, a wine wholesaler in Oakland, CA. 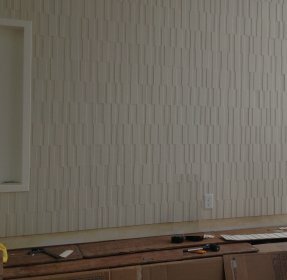 The San Francisco Bay Area Professional Wallcovering Experts! Welcome to the website of Silverado Wallcovering, where a time-honored tradition is our specialty. Since 1986, commercial properties throughout the San Francisco bay area have trusted the service, quality and talents of Silverado Wallcovering. Including the counties of Alameda, Contra Costa, Marin, Napa, San Francisco, Santa Clara, San Mateo, Solano and Sonoma, Silverado Wallcovering has served the bay area, as a premier wallcovering contractor. We are proud to have established the highest reputation in our industry by providing top-quality workmanship, a commitment to our customers, and providing high-end service with competitive prices. We are a licensed painting and decorating contractor in Northern California who continues to deliver high quality workmanship to a variety of commercial properties. Some of our recent projects include commercial buildings, retail stores, hotels, hospitals, restaurants, medical buildings, public work, federal projects, office buildings, and property management companies. When it comes to choosing visually appealing and functional wallcovering for your commercial space your options are virtually endless. Below you will learn about just a few. If you have questions or would like to schedule a consultation, please contact our office at 707-480-9362. For your convenience, you can request services online. Acoustical Wallcovering makes a great choice if you are looking for a product designed to manage sound. If your goal is to effectively control high noise levels associated with areas such as corporate environments, dining areas, performance spaces, and education facilities, we have your solution. A beautiful mural is an accent piece of functional art designed to attract attention. Murals can often be heavy, cumbersome, extremely difficult to install and dangerous, if you do not account for the weight on the wall. Tack Boards are a durable, washable floor-to-ceiling and wall-to-wall communication surface that are perfect alternative to boring bulletin boards. Tack boards are available in a variety of colors to accent any office decor. 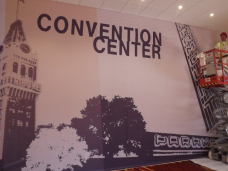 Wall coverings are the latest innovation in wallcovering application. 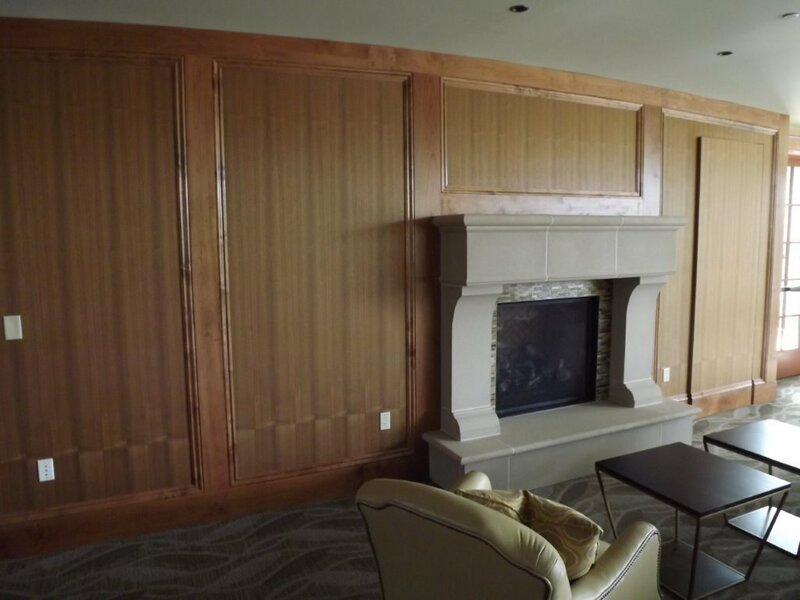 Silverado Wallcovering has the knowledge and experience to install beautiful wall coverings in your Northern California business. 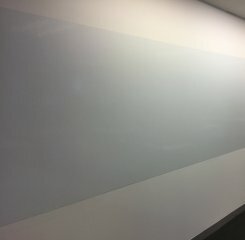 Whether your facility is in an office board room or a school wall talker make a great solution to your dry erase surface needs. They make any demonstration, conference or lecture simply a breeze. 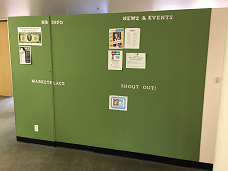 Whether it is a marker board or whiteboard, wall talkers are your answer. Belbien is a self-adhesive vinyl film that includes a pressure sensitive adhesive and release paper. Belbien can be used on a variety of surfaces that include wall panel systems, casework, store fixtures, columns, doors, and elevators. Belbien is available in many finishes including wood veneers, marble, granite, ceramics, leather and metals. Whether you are renovating or you have a brand new project you can count on our work ethic and professionalism in providing you the service you deserve. We invite you to continue your tour of our website. We are here for your wallcovering solutions, please don't hesitate to call us to help complete your wallcovering project. At Silverado Wallcovering, our goal is to provide competitive prices along with service that is second to none. We are confident that you will be pleased with the services we provide. 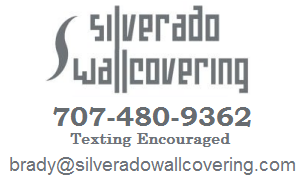 If you have any questions or would like to schedule a free estimate, please contact Silverado Wallcovering at 707-480-9362. For your convenience, you can request services online. Thank you for your interest in Silverado Wallcovering. We look forward to serving you in the near future! All Wallcoverings Installed by Silverado Wallcovering are Guaranteed Dry Strippable Without Sheetrock Damage. Proudly serving the San Francisco Bay Area including the cities of Alameda, Albany, American Canyon, Antioch, Atherton, Bay Point, Bethel Island, Belmont, Belvedere, Benicia, Berkeley, Brentwood, Brisbane, Burlingame, Byron,Calistoga, Campbell, Castro Valley, Clayton, Cloverdale, Clyde, Colma, Concord, Corte Madera, Cotati, Cupertino, Daly City, Danville, Dixon, Dublin, East Palo Alto, El Cerrito, El Granada, Elmira, Emeryville, Fairfax, Fairfield, Foster City, Fremont, Gilroy, Green Valley, Half Moon Bay, Hayward, Healdsburg, Hercules, Hillsborough, Knightsen, La Honda, Lafayette, Larkspur, Livermore, Los Altos, Los Altos Hills, Los Gatos, Martinez, Menlo Park, Mill Valley, Millbrae, Milpitas, Monte Sereno, Moraga, Morgan Hill, Mountain View, Napa, Newark, Novato, Oakland, Oakley, Orinda, Pacifica, Palo Alto, Pescadero, Petaluma, Piedmont, Pinole, Pitssburg, Pleasant Hill, Pleasanton, Port Costa, Portola Valley, Redwood City, Richmond, Rio Vista, Rohnert Park, Ross, San Anselmo, San Bruno, San Carlos, San Francisco, San Jose, San Leandro, San Mateo, San Pablo, San Rafael, San Ramon, Santa Clara, Santa Rosa, Saratoga, Sausalito, Sebastopol, Sonoma, South San Francisco, St Helena, Suisun City, Sunnyvale, Tiburon, Union City, Vacaville, Vallejo, Walnut Creek, Windsor, Woodside, and Yountville. Our goal is to provide competitive prices along with service that is second to none. We are confident that you will be pleased with the services we provide.